Guess what I’m doing today! If you guessed procrastinating, you are correct. YOU WIN ONE MILLION INTERNETS. I have a draft of book 2 that’s staring at me, and I’m steadfastly refusing eye contact. But my soft deadline is six weeks from today, which is coming up alarmingly fast. Long ago*, procrastination looked like Netflix binges of crappy horror movies while I started internet fights. But now that I have deadlines and a small beeb at home, procrastination looks different. Here’s a list of things I do while procrastinating that still (hopefully) help me inch towards my deadline. 1. Research: This one’s great! Since I’m writing historical fantasy, I can still Netflix binge, but I get to watch documentaries instead of horror movies. Better for my psyche anyway. And I get so much inspiration from getting a visual on those old documents, photos, or letters they show with the slow Ken Burns zoom/pan. I’m not a visual person so watching something gets my brain firing in new ways. 2. Reading: This one can be dangerous. When I have writer’s block, reading is a godsend, but when I’m procrastinating, I’ll happily try to fool myself into thinking that my entire TBR list is vital to finish. I have to be selective because I will read and reread new books and old favorites, and I’ll never want to stop. Still, reading can help jog something that’s been stuck in my brain, so it’s vital. One thing that helps more than others is reading and critiquing for critique partners. Making my brain work on problems other writers are having is a good way to exercise my problem-solving muscles. 3. Blogging: HA HA. I actually don’t know if this one’s helpful. Obviously I should be laying down words on book 2 rather than here. Still, I can tell myself I’m being helpful to readers or getting out my angst or whatever. And there’s a limit. I can’t work on this post all day long. Eventually I’ll get annoyed with myself and go open my document. 4. Shaming myself by blogging about procrastinating: Yup. I’m annoyed. I’m opening my document. You know how I often say there is no one true way to write or revise? 4. Feel guilt. Return to document. Scroll down a bit (or page through.) Change an m-dash to a semi-colon. Feel better. Progress! 5. See what that notification is on Facebook. Oh! Jason* has a birthday. 6. Type “Happy Birthday Jason!” in the box. 7. Return to the manuscript. Search for “eyes.” See 694 returns. Grit your teeth and make your way through 38 instances. 8. Open Twitter. Type something pithy about cutting eyes, maybe make a reference to Oedipus. 9. See an interesting looking link about how to edit and revise your MS. Retweet it. 11. Note time on microwave. Didn’t you start trying to revise two hours ago? 12. GET FED UP WITH SELF. 13. Start revising in earnest. *If you don’t know a Jason, I don’t know what to do for you. You should probably just type “Happy Birthday Jason!” to someone at random and then get on to step 7. Does a Writer Have to Write Every Day? If you still have a few minutes, here’s the long answer. There are a lot of quotes around saying that a writer must write every day. Michael Connelly: “Write every day, even if it’s just a paragraph.” Ray Bradbury: “You must write every single day of your life. . . ” Robert McKee: “Write every day, line by line, page by page, hour by hour.” Articles purporting to be habits of highly successful writers usually include this bit of advice. Writers–like humans–come in all types. There are writers who cannot survive without writing every day. They keep slips of paper in their pockets and pens in their hair and sometimes they wake in the night and write in their journal, which is on their nightstand, open to a fresh page. There are writers who have been into photography recently but when go on a road trip with friends, they livetweet the experience and then Storify it on the spotty wifi at the last motel before home. Then after they unpack, they take up knitting. There are writers who have grueling work schedules and come home to families that need feeding and have no time to wash their hair, but while they’re standing over the stove making some delicious mac n’ cheese, a thought moves in and makes a home behind one ear and eventually starts to expand into all the rooms in the head. Then one day that writer gets fired and they spend their first week freaking out and the next week helping that idea move to paper. There are writers who find it impossible to get out of bed on very dark days, much less drag themselves three feet to the computer, but on the good days, they write hilarious stories and make their readers laugh and laugh. This is not an exhaustive list of writers. 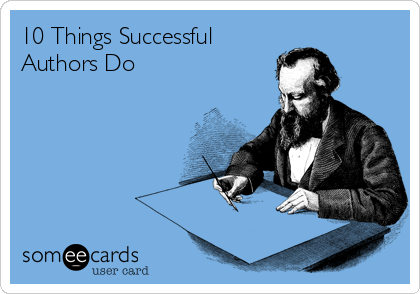 There is no one way to be a writer. And the ways a writer writes may change over time. Frankly, I think it’s a very privileged to say that a writer must write every day, because not every writer can. Of course a highly successful (i.e. HIGHLY PAID) writer is more likely to be able to write every day. But you don’t stop being a writer when you put down your pen. So, no. Writers don’t have to write every day. Imaginations can be boundless, time is still limited. Writers write. . . eventually. I’m honored to say I was interviewed over at DiversifYA. Check it out if you want to read about my crazy hapa self! I highly recommend reading the interview archives. There are a whole bunch of diverse writers talking about their experiences, with bonus advice for authors who want to write diverse characters*. *That’s all of us, right? RIGHT?? I’m seeing lots of Twitter Chatter (Chitter? … Uh) about the Bologna Book Fair, and that’s how I know that my Book Deal is just about one year old! “So why isn’t it out already?” says all my very well-intentioned family and those friends who are not aware of publishing timelines. Why does your book still look like a stack of printer paper? Is this some kind of marketing thing? A year and a half ago, I, too, would have been asking this question. I had a very hazy idea of How Huge Word Docs Become Books. It seemed a bit like magic. “See here, in one hand, an agent, in the other, a publisher–I bring them together and ta da!” A puff of smoke, and there you are in a ruffled party dress, sitting on a tall stack of your own books at the launch party in your favorite local indie. Right? Well. Ask any magician, they’ll tell you that “ta-da” covers the interesting and complicated part. Fall 2013: Querying. I try to send out one letter a week, taking the time to make sure that I’ve got the submission correct–first five pages pasted into the email, or first ten in a pdf? Or no pages at all? I always feel like it shows respect to follow directions and I wasn’t in a rush. December 2013: I speak to two agents and sign with Molly at The Bent Agency. January and February 2014: I polish the manuscript with Molly–one of the reasons I felt like she was the best fit for me was that she had ideas to edit the MS and her comments were very astute. March 2014: Molly takes the manuscript to Bologna. Editors are interested. There is a bit of upheaval at home; I have an out-of-town friend visiting in our tiny studio apartment, I’d just gotten out of the hospital for pre-term labor problems, and some of the editors are wondering if I have ideas for second (and possibly third) books in the series. I’m supposed to be on bedrest but my friend needs the couch, so I lay on pillows on the floor in the kitchen and put my computer on my lap and bang out some outlines for potential future works. April 2014: There was enough interest that Molly sent out auction rules. Then multi-book pre-empt offers come in with Greenwillow at HarperCollins and Hotkey in the UK, and we accept happily. May 2014: I panic and start working on Book 2. August 2014: The contract from Hot Key arrives. October 2014: I get my 2nd round edit letter. 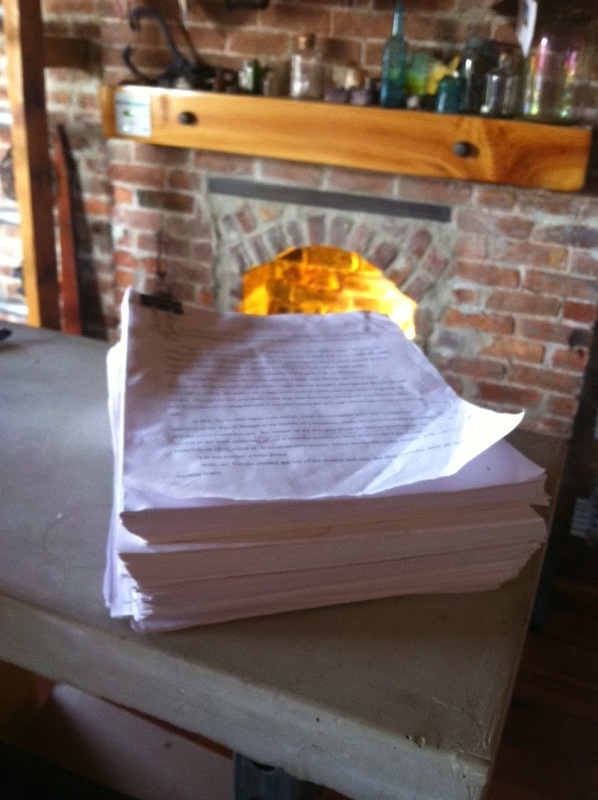 November 2014: I send back my 2nd round of edits. I am asked about my ideas for covers and I sort of shrug and flap my hands to try to indicate exactly how bad I am at visual and artistic design. January 2015: I get a few more small notes and make the fixes. I realize that Book 2 is due in another few months and I start freaking out all over again. February 2015: I get ONE more note, no biggie, just REWRITE THE FIRST PAGE which was more angst than every single other rewrite thus far. I use nearly the entire allotted time to work on it and get it in just a day before deadline. March 2015: I get a couple more edits, I send them back the same day. BOOM. Done with line edits. Uh. . . except now we’re off to copy edits! And that’s where we are now. Sometime soon, I’m aware that covers will be developed. Jackets and layout will be designed and copy written. Then ARCs will be printed, I think? People will read and possibly review them. “Marketing” will happen. (I think probably marketing is a magic trick of its own.) I will try to plan a launch party, complete with ruffled party dress. Other things too, I’m sure–I’ll keep you posted. But you can see that there’s a lot going on, and even just editing and contracts take a while to happen. The other thing is that we had a little more time built into the contract–a lot of other books that sold around the time mine did were slated to be published in Fall ’15, but Greenwillow’s fall list was already full by then. But looking back at the past year, I’m quite happy with the process. After all, the “Ta Da” is where all the magic happens. And I need time to shop for that party dress.